A few weeks ago, I had a relaxing lunch at the Vanderbilt Grace in Newport, RI (see above). 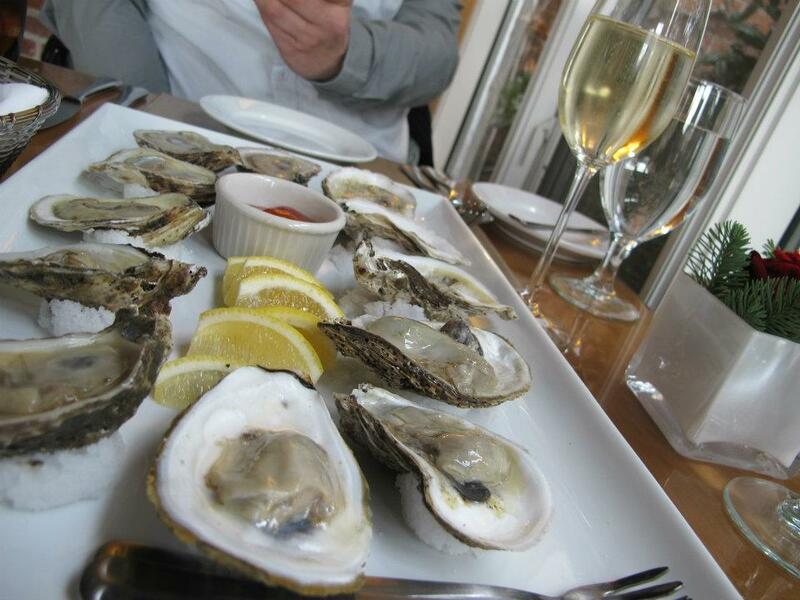 Much like lobster and caviar, oysters are one of those foods that just beg for a celebration. I don’t shuck them myself (still recovering from effects of a too-cheap mandolin), which makes them that much more decadent. If you’ve never tried an oyster, make it a point to expand your culinary repertoire with them this holiday season.